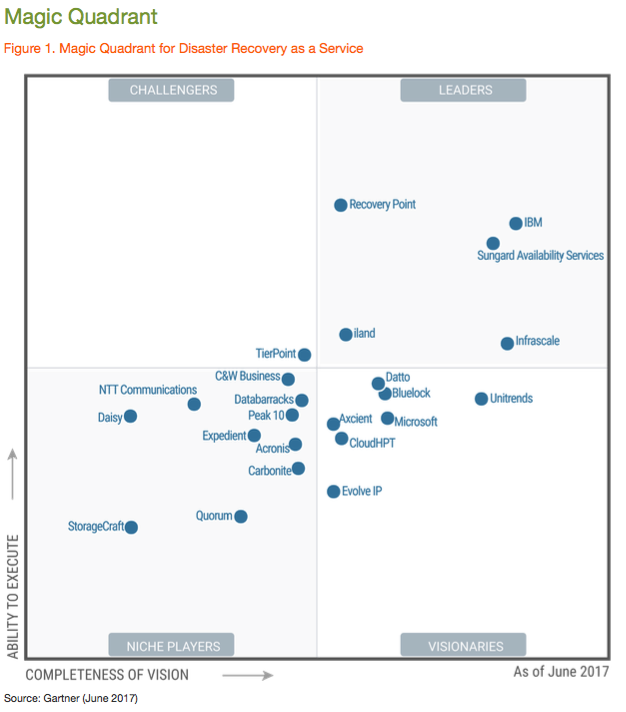 The 2017 edition of the Gartner Magic Quadrant for Disaster Recovery as a Service (DRaaS) providers has just been released and CloudHPT is recognized in the “Visionary” quadrant. CloudHPT is the cloud division of UAE based managed service provider, BIOS Middle East. CloudHPT is the only cloud platform located in the Middle East region to feature in the report.